SouthGroup Gulf Coast - Your Trusted Choice: Got a Trailer? You Need Proper Insurance Coverage! Got a Trailer? You Need Proper Insurance Coverage! With all the "toys" out there - boats, campers, jetskis, animals, belongings --- sometimes the only way to get it to where you need it is to hitch it to the back of a vehicle and tow it. But are you protected from damage or theft or liability? You need to be sure your have the correct insurance coverage! 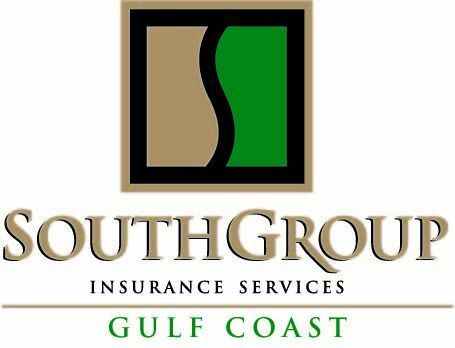 Not all companies include protection for trailers, so check with your Trusted Choice Agent (www.southgroupgulfcoast.com). Trailer insurance is not required by law, but is a good investment if the trailer and its contents are critical to your business or important to you personally. What Does Trailer Insurance Cover? Liability: This portion of the policy covers damages caused to others for which you are legally liable, including bodily injury or property damage. Trailers are sometimes covered under the boat, auto, or homeowners liability policy, but coverage may not be adequate to protect you in an accident. Be sure to ask whether accessories attached to the trailer are covered. These might include items such as awnings, TV antennas, satellite dishes and air conditioning units. Total Loss Replacement: Different insurance policies may cover the same items, but not for the same amount. “Actual cash value” (ACV) is typically lower cost coverage than “replacement cost” because ACV accounts for depreciation. Contents Coverage: All trailer policies cover the trailer, but you and your agent should discuss whether you want the trailer’s contents to be covered. The contents coverage may be at an extra cost, but it may be well worth it if you tow valuable items such as show animals or an expensive boat. Contents coverage is designed to protect the cargo you're hauling from theft, vandalism, and damage. Emergency Expenses and Roadside Assistance: Some trailer owners want the insurance policy to cover breakdown expenses such as flat tire, battery issues, fuel delivery and jump starts. Your trailer may get stuck in snow, mud, water or sand or may need to be towed to a repair shop. You may need a locksmith. Stationary Travel Trailer Coverage covers comprehensive, contents and liability. Will the trailer be used for personal or commercial use? What is the type of trailer? Is the trailer custom made? What is the make and model, age of trailer? How much did the trailer cost? What will the trailer contain? What is the size of the trailer? Who will drive the vehicle towing the trailer (driving record, age, gender)? We are your LOCAL Trusted Choice Advisors, SouthGroup-Gulf Coast http://www.southgroupgulfcoast.com , SALES AND SERVICE AGENTS: Angelyn Treutel Zeringue, Tammy Garfield, Tammy Hogue, Brittany Jones, Denise Russell, Melissa Moran, Alex Treutel, Anne Gillam, Ashlie Moody, Mark Strickland, and Whitney Zimmerman at SouthGroup Gulf Coast. You can reach us by snail-mail or in person: 412 Hwy 90, Suite 6, Bay St Louis MS 39520, email: info@southgropugulfcoast.com , phone: 228-466-4498 fax:888-415-8922, FaceBook www.facebook.com/southgroup.gulfcoast, or Twitter www.twitter.com/atreutel !